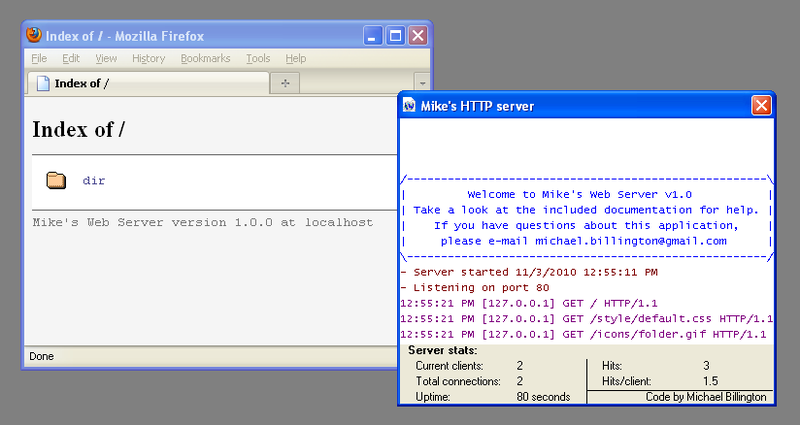 This is a Visual Basic 6 webserver, written from scratch based on the HTTP/1.1 specification. This is quite an old project, so no detailed documentation is available. This server can be used to share content over your network, by connecting to it with a web browser. The HTTP specification is not fully implemented here, but the features required for serving static content are. Features: Few. Serves only static content, does not run as a system service. Bugs: Several, will sometimes fail to serve a page properly. Memory usage: The server loads a whole file and then sends it. Don't use large files! Please read the licence before downloading.